The Aitareyopanisad, also called Bahvrcopanisad, belongs to the Rgveda and is part of the Aitareyaranyaka which, according to modern scholars, originated in the Kuru-pancala country more than 2600 years ago. The Brahmana and the Aranyaka known by the same title Aitareya are attributed to Mahidasa Aitareya, who, on the authority of Chandogyopanisad III. 16. 7, lived to the age of 116. Madhvacarya mentions that Aitareya was an incarnation of Naraya1a and son of Visala. According to a tradition recorded by Saya1acärya Mahidasa was the son of a woman called Itarã. Mahidasa’s father had sons by other wives also, who were favoured with a larger share of his love than Mahidasa. In a sacrificial assembly Mahidãsa was denied the privilege of sitting in the lap of his father. Itarã noticed this sad plight of her son and prayed to her tutelary deity, Goddess Earth. In response to her prayer the Goddess appeared in a divine form, placed Mahidasa in a celestial seat and imparted to him unrivalled wisdom. Thus enlightened, Aitareya later revealed that part of the Veda known by his name. From the trend of the story and the suggested sense of the terms Itarã and Dasa some have come to the conclusion that Aitareya was not a twice-born by caste and that he was raised to the status of a great sage by his own austerity and divine grace. The Aitareyãranyaka consists of five Books or Arai3yakas and in all of them some exalted philosophical and spiritual thoughts are revealed. The first Aranyaka, in five chapters, besides giving the etymology of Mahavrata, describes also the Sastras or hymns of morning, midday, and evening Savanas or libations, of the Mahãvrata rite of the Gavämayana-sattra, set forth in Aitareyabrahmana I. 38 and IV. 14. The material found here connected with the ceremony is allegorical, and so gives the truly aranyaka character to the work; for the main characteristic of an Aranyaka is that it supplies with the esoteric meaning of the great Vedic rituals. In course of time ritual and meditation became independent, and the Aranyaka then stood only for the spiritual forms of worship which the Vãnaprasthas used to perform. The more essentially spiritual part of the Aranyakas embody the meditations and realizations of sages who kept no connection with the religious ceremonies performed in the domestic fires. This spiritual nature of this Aranyaka is evident at the beginning itself of the work where Gayatri and Mahãvrata day are identified with Brahman. The sage who revealed the Rgvedic hymn X. 27 is identified with Brahman, for he has realized Brahman. The Upanisad enlarges the idea of 13rahman hinted in the first Aranyaka. The second and the third Aranyakas are together designated Maha-Aitareyopanisad. The third Aranyaka is separately known as Samhitopanisad. 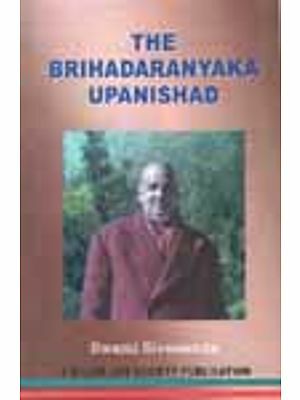 Some, like Upanisad-Brahmayogin, have commented on the whole of second Aranyaka as Aitareyopanisad. But Sri Sankaracarya takes the latter six chapter of that Aranyaka alone (called the Atmasatka, as they deal with the Atman), as the Upanisad proper. In the preceding chapters of the second Aranyaka, Prana or Hiranyagarbha is taught as the First Cause of the Universe. The ritual and meditations in connection with Pranavidya are set forth at length. A brief account of this earlier part is given as it contains germs of great philosophic thought. The second Aranyaka opens with the sublime passage. Self-Knowledge alone leads to the bliss of immortality; and the way to attain Self-knowledge is by performing the scripture-ordained duties without any attachment to the fruits thereof; and doing them as a dedication to the Divine. This alone is reality, this alone is truth; and therefore a discerning man should not neglect Self-Knowledge and the means helpful to it. The ancients did not go astray from this path, those who did, perished. To those who profess the sacrificial religion, Uktha superficially means only a Sastra, or mere praise –chant in prose; but esoterically according to Aitareya, it stands for the universe and man, Matter and Spirit, ‘Anna’ and Annada’. One who practices the combination of ritualistic work and meditation reflects ‘I am Uktha – the Reality consisting of Spirit and Matter. The same Purusa or Cosmic Intelligence, designated as Prajapati and in whom the aspirants meditates is also the Hiranmaya Purusa – the innermost essence of the visible universe. Human personality is centered in action; and that personality is the sphere in which Brahman dwells as the witness. In the next step, Uktha is extolled as conscious and unconscious Energy animating the body, and is equated with Brahman or Prana. Brahman or Life entered man from the fore part of his feet. It proceeded higher up to the thigh, stomach, heart and head and finally ramified into sight, hearing, mind, speech and vital breaths. So some sages mediates on Brahman in the stomach or in the hearth, the former as the seat of Brahman as Vsia vanara.